It’s your home and you deserve to have complete control of how your newly remodeled bathroom with flow, what finishes will be present in it, what fixtures will be installed, where the fixtures will be placed and any other details you desire. Our experienced crew is here to do all the heavy lifting, pluming, electrical and all the installation needed for fixture, flooring and any other details you specify. Of course, if you don’t have specifications and would like our specialists to design an efficient layout to maximize space and the overall appearance, we can do that too. We have completed many bathroom remodeling projects, all with extreme client over-satisfaction. We remodel homes on a daily basis, which allows us to easily envision the completed project, even before it’s started. The luxury our professional home remodeling contractors can bring to your bathroom will leave you entranced. We can create a modern, classic, bold or earthy bathroom ambiance that will fit all your storage needs and leave you feeling rejuvenated. Our remodeling services are preformed with prompt, timely and announced arrivals and departures, our work area will be cleaned daily for efficiency and respect. We will reflect only the highest quality in everything we do. When we are completed with your bathroom remodel, you might just be wanting us to start another renovate project in a different area of your home…. updated your living room, finish your basement, reconstruct your kitchen, the possibility are endless because we offer whole home renovation services and can even add on to your existing home. 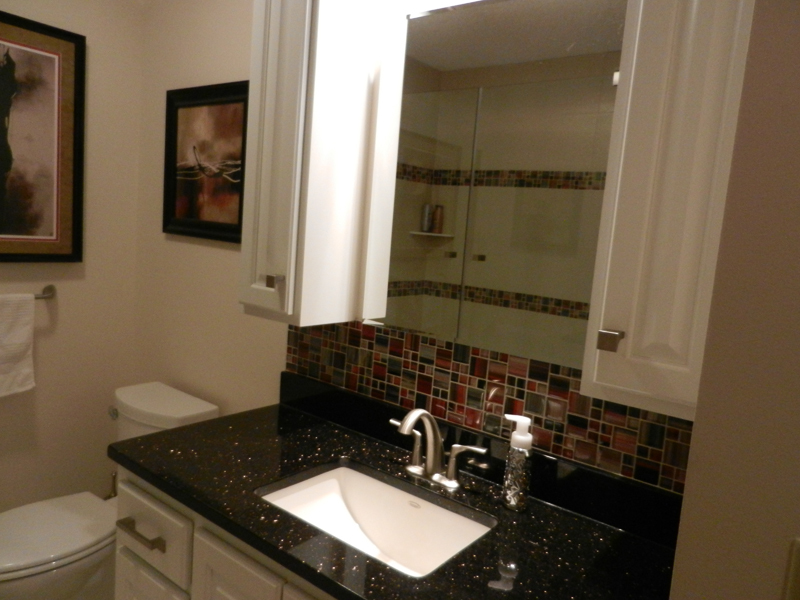 Don’t wait to get a free consultation on your Maple Grove, MN bathroom home remodeling interests. Our licensed remodeling experts can work around your schedule and in your budget. Contact us today for more information about your home bathroom remodeling project at 763-574-0131! This entry was posted	on Thursday, May 15th, 2014 at 4:16 pm	and is filed under Bathroom Remodeling. You can follow any responses to this entry through the RSS 2.0 feed. You can leave a response, or trackback from your own site.